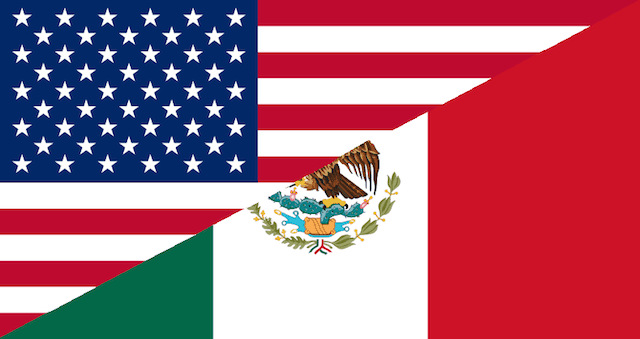 Today the Mexican customs agency has the ability to pre-clear shipments into the country originating in the United States from an inspection station located at Laredo International Airport. This facilitates the movement of goods from the US to Mexico in that, instead of having to fly goods into a Mexican international airport with customs clearance capability, items can be sent directly from Laredo to those that purchase them at their point of end use.. Companies that utilize this option for moving their products to their customers do so under a binational US-Mexico trade to do sothat has been in effect for over more than one year. Although the ability to preclear cargo destined for Mexico at Mexican customs clearance facilities located in US territory is now a reality in Laredo, Texas, setting up similar capacity for US Customs in Mexico has run into an obstacle. In this case, the Mexican customs agency and government are sensitive to allowing any U.S. law enforcement agency stationed at such facilities to arm personnel on its territory. Mexico sees this as an abrogation of national sovereignty, while the US government views the matter in terms of security. In 2011, Jaime Zapata, a U.S. Immigration and Customs Enforcement Official, was slain while traveling on a highway in Central Mexico. The other US official there at the time, Jose Avila, survived the attack. This event is still fresh in US officials’ memories. According to Laredo city officials, the Mexican government is working on a way to amend its laws so as to allow US Customs Inspectors to carry weapons at preclearance stations located on Mexican soil so that this US-Mexico trade agreement can proceed and deliver intended benefits. While some contend that preclearance stations on both sides of the border will ultimately have a net positive affect on commercial traffic between the two countries, others see a potential downside. James Giermanski of Powers International believes that preclearing merchandise prior to hitting borders as a result of the US-Mexico trade agreement might result in a drop in occupancy rates for warehouse located in both US and Mexico border cities. Some individuals, Christopher Wilson at the Princeton’s Woodrow Wilson International Institute’s Mexico Center, believe that ultimately, rather than having separate customs crossings for both countries, US and Mexican agents should be co-located in single facilities along the border. According to him, these “single ports of entry” would enable both country’s to share intelligence on a live, real-time basis. Read the primary source for this post at the Texas Tribune.